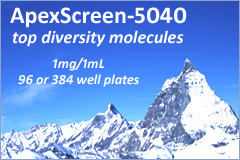 The screen of TimTec compounds identified 6 potent TNF-alpha inducers, which are available from our stock. Identification of novel formyl peptide receptor-like 1 agonists that induce macrophage tumor necrosis factor alpha production. Schepetkin IA, Kirpotina LN, Tian J, Khlebnikov AI, Ye RD, Quinn MT. Mol Pharmacol. 2008 Aug;74(2):392-402. Development of immunomodulatory agents that enhance innate immune responses represents a promising strategy for combating infectious diseases. 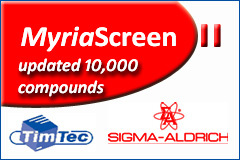 In the present studies, we screened a series of 71 arylcarboxylic acid hydrazide derivatives for their ability to induce macrophage tumor necrosis factor a (TNF-alpha) production and identified 6 such compounds, including one compound previously shown to be a formyl peptide receptor (FPR/FPRL1) agonist. The two most potent compounds [Compound 1: nicotinic acid [5-(3-bromophenyl)-2-furyl]methylene-hydrazide; Compound 2:4-fluoro-benzoic acid [5-(3-trifluoromethyl-phenyl)-2-furyl]methylene-hydrazide] were selected for further analysis. 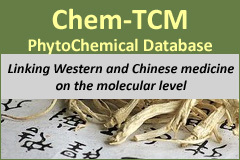 These compounds induced denovo production of TNF-alpha in a dose- and time-dependent manner in human and murine monocyte/macrophage cell lines and in primary macrophages. These compounds also induced mobilization of intracellular Ca2+, production of reactive oxygen species, and chemotaxis in human and murine phagocytes.Induction of macrophage TNF-alpha production was pertussis toxinsensitive, and analysis of the cellular target of these compounds showed that they were FPRL1-specific agonists and that this response was blocked byFPR/FPRL1 and FPRL1-specific antagonists. Additionally, pharmacophore modeling showed a high degree of similarity for lowenergy conformations of these two compounds to the current pharmacophore model for FPR ligands (Edwards et al., 2005 Overall, these compounds represent novel FPRL1 agonists that induce TNF-alpha, a response distinct from those induced by other known FPR and FPRL1 agonists.